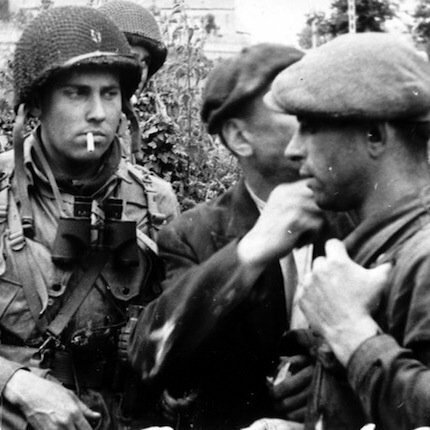 You've landed, now what? How do you get into the city? There are a number of Paris airport transfer options, but for us, the absolute best way to get into the city is a private chauffeured car, and it's our top recommendation. 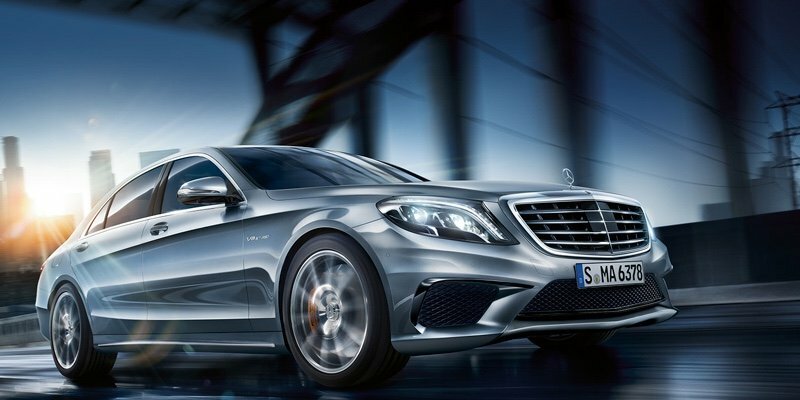 The driver meets you at your gate, takes care of the luggage, and drives you directly to your accommodation. Our second-best recommendation is a pre-arranged shuttle van. They cost more than a bus, but less than a taxi and are a welcome comfort at the end of a long flight. Of course, if you want to save money and don't mind struggling a bit with your luggage, there are also two bus choices, as well as the RER train. Whatever you decide, our advice is to know what's going to happen when you arrive. It makes the experience much more pleasant. 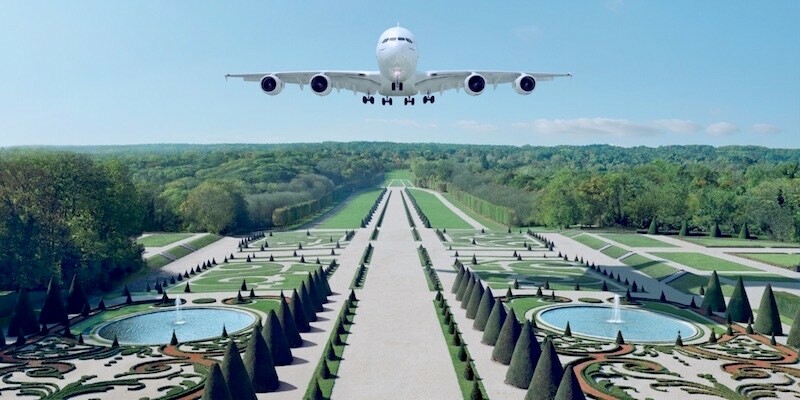 Let's take a look at five ways to get from Charles de Gaulle airport to central Paris. Shuttle from the airport to central Paris. Use this when you arrive. This shuttle service has received hundreds of positive reviews. Shuttle from Paris to the airport. The same shuttle service, going the other way. Use this when it's time to fly home — gets you from your hotel (or apartment) to CDG. You've landed in Paris and are met by your driver at the airport arrivals door. He takes control of your luggage and settles you into his Mercedes S-Class. But before you reach your hotel, your 5-year old son simply has to use a bathroom. Pas de problème! You mention it to the driver and he cuts across traffic, parks on the curb in front of a café, and escorts you and your son inside. It's a true story, and it's one of the reasons we always use Manu, our Paris driver, for airport transfers — even getting to and from the train stations. Another reason, of course, is that at the end of a long journey, we can use a little TLC once we're finally let off the plane. Manu doesn't just drop you off at your hotel or apartment, he carries your bags right up the elevator and into your apartment. When it's time to depart, he'll meet you at your apartment (or hotel) and carry them back down. Manu works with a number of other drivers of similar caliber so that, if he is otherwise scheduled, he will send another courteous driver to meet you at your gate. Because we want you to feel rested and relaxed when you arrive in our favorite city, we're going to share with you one of our best Insiders Secrets — the contact for Manu Prestige Service. Oh, and if your party is more than 3 people, or you have a lot of luggage, Manu will arrange a similarly luxurious van for you. Whatever the case, you can pay with a credit card on your arrival. It's Paris, the most glamorous city in the world. Grab a little glamour for yourself! If you have tons of luggage or you're traveling with a group of 3 to 8, pre-arranging a private shuttle van to meet you at your terminal is a good alternative. You'll ride in a mini-van specially equipped for airport transfers. This is not as luxurious as a private car, but it's a good service and it costs a little less than Manu's private service. The service is available from either of the two Paris airports. (FYI: CDG, or Charles de Gaulle Airport, is the destination for all flights form North America.) 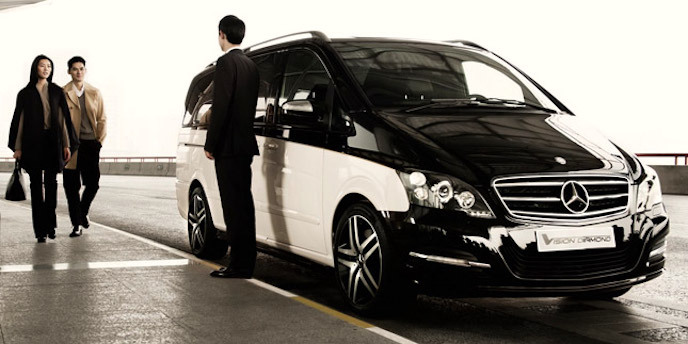 A private van to or from CDG is about $130; to or from Orly Airport may be a little less. 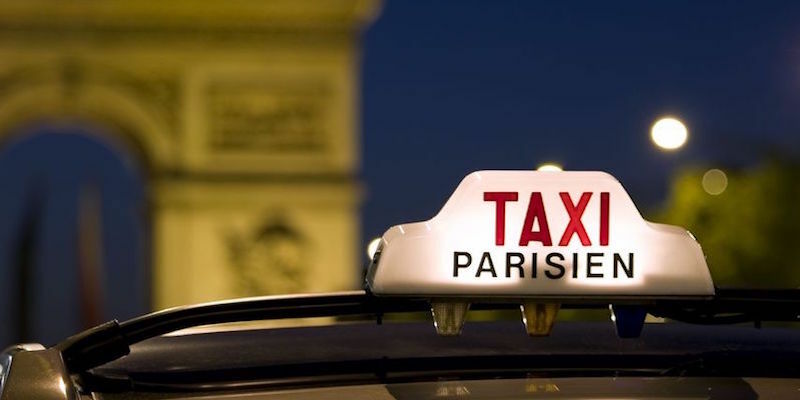 Taxis are the most common means of Paris airport transfers and they're usually plentiful at the airports. 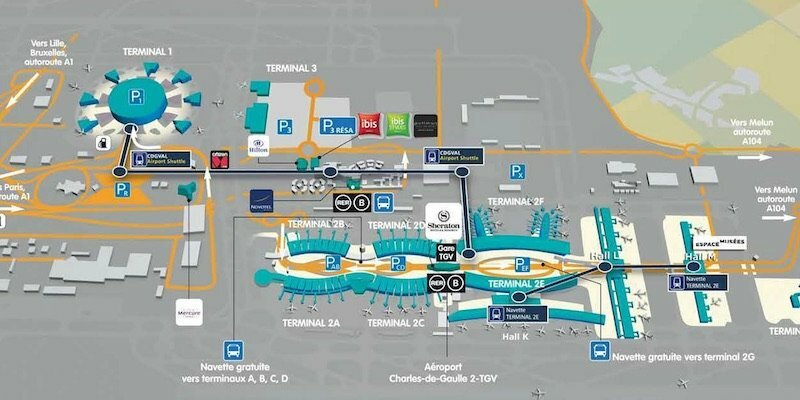 Before you leave home read our guide to catching a taxi at Charles de Gaulle airport. Then travel easy! 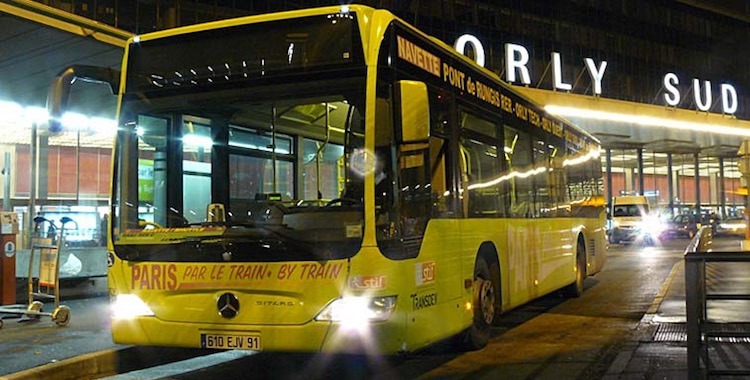 The cheapest way to get into Paris from the airport is to take a bus or ride the RER train. This route means more luggage handling on your part as you make your way to the bus at the airport and to your hotel at the other end, but it does save money. 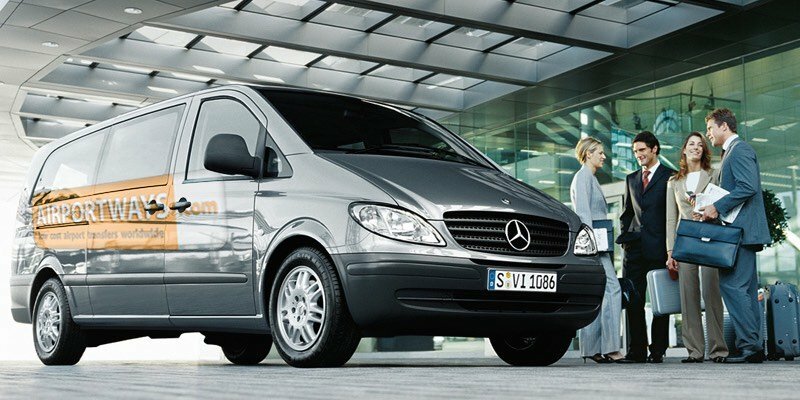 We explain the possibilities and give you complete information in part two of our report on airport transfers. 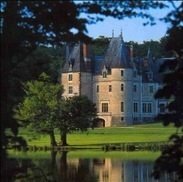 While there are two international airports in Paris, you very likely will arrive at the larger one, Charles de Gaulle (CDG), located northeast of the city. It's the biggest airport in Europe and seems always to be expanding — you might want to read a brief guide before you arrive. The whole flying experience is often one of the worst parts of traveling, and that's why we try to make it as pleasant as possible. In our short guide to airlines and airfare, we'll share our years of experience in flying to Paris and choosing an airline. 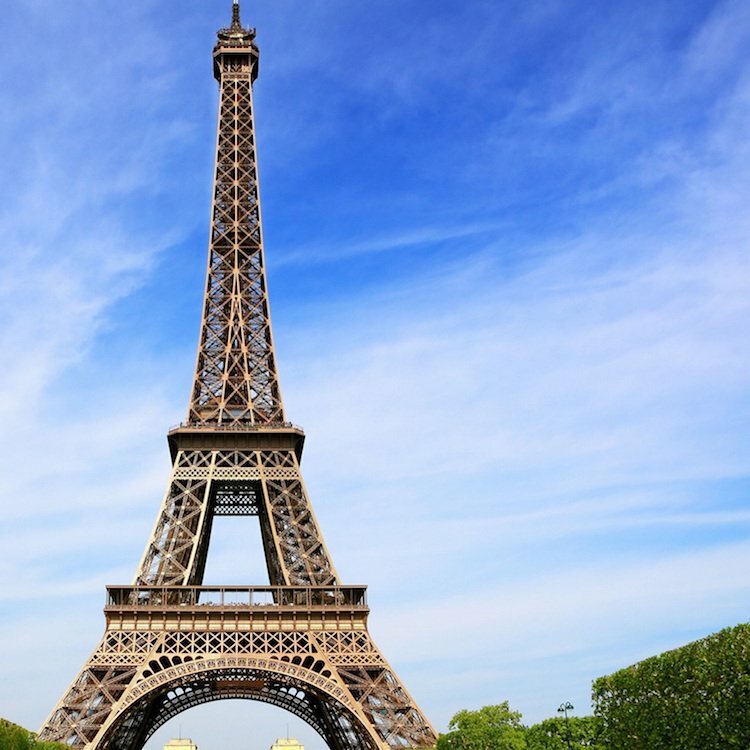 Cheap Airline Tickets to Paris? Notice the question mark? Although there are a ton of ticketing companies claiming they can save you tons of money on flights to Paris, we haven't found that to be the case. We don't know about you, but we don't want our magical trip to Paris to start with lousy flights, 6-hour layovers, uncomfortable seating, or substandard service. In our guide we'll tell you the real store of cheap airline tickets. At least, the story we've discovered in our years of experience flying to and from Paris. One hint: we like to have our voyage à Paris start when we settle in our seat on the airplane. Champagne, anyone?